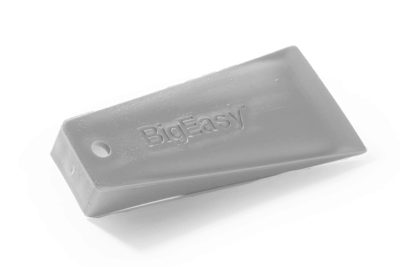 The new Super Easy Wedge is a larger version of the Easy Wedge to be used as an accessory with our BigEasyTM Lockout kits. 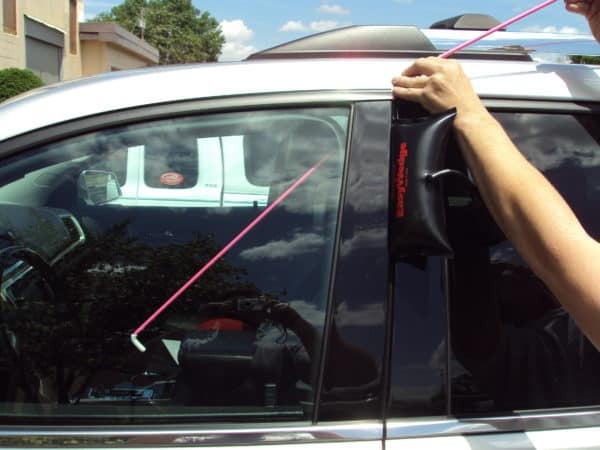 The Super Easy Wedge, as well as our original Easy Wedge, is inserted to create a controlled opening of the vehicle door. Once inserted, inflate the wedge to the desired size and you can insert your BigEasyTM unlocking tool to safely unlock the vehicle. 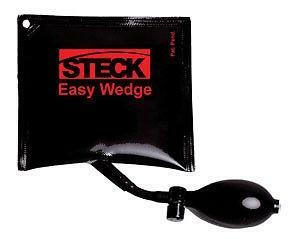 Our bigger wedge can provide more power as well as a bigger opening in which to maneuver the BigEasyTM lockout tool. If the surface area is not large enough, the possibility of damage is increased; a bigger wedge allows you to spread the force being exerted over a larger surface area, reducing the possibility of damage. 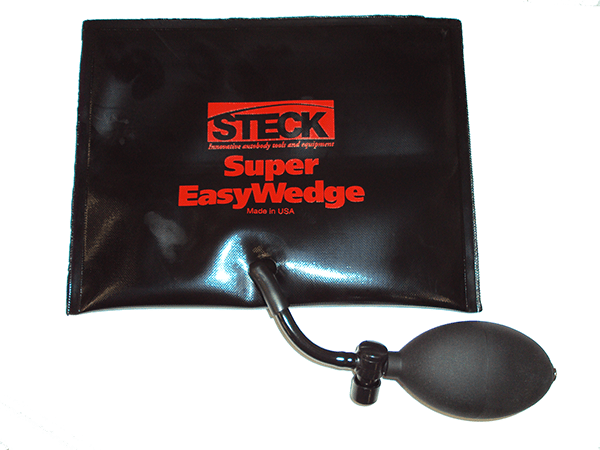 The Super Easy Wedge is a 7″ x 9″ inflatable wedge made from ballistic nylon, to aid in preventing slippage in extreme weather. 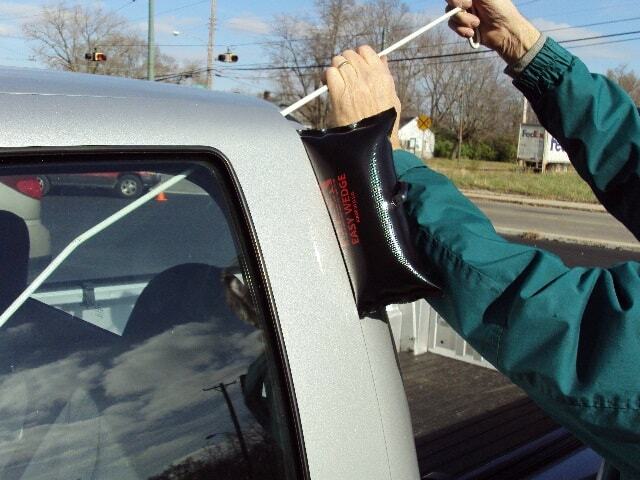 The Super Easy Wedge also has a taffeta print on the exterior, with a 30 gauge polypropylene insert for stiffness, which will lend to ease of insertion into the vehicle. 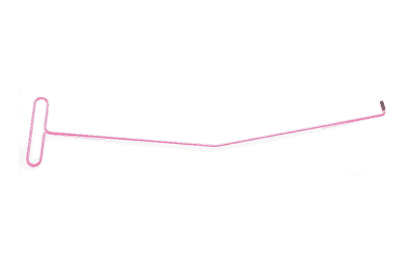 The Super Easy Wedge has a contact area of 2-1/2 x 4-1/2 equaling 11.25 square inches; multiplied by 15 psi, gives the wedge 168.75 pounds of force. 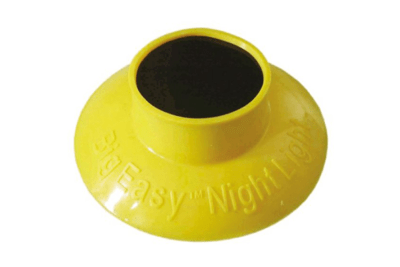 The bulb has been increased by 50% allowing for fewer compressions to fill the wedge.